Latin Americans, Spaniards, Latinos and Hispanics have been the recipients in five of six award categories: Physics, Chemistry, Physiology or Medicine, Literature, and Peace. The first Spanish recipient, José Echegaray, was awarded the Literature Prize in 1905, and the first Latin American to receive the prize was Carlos Saavedra Lamas in 1936. The most recent recipient Juan Manuel Santos was awarded the Peace prize in October 2016. Two Latin American laureates — Óscar Arias Sánchez and Juan Manuel Santos — were president of their country when they were awarded the prize. 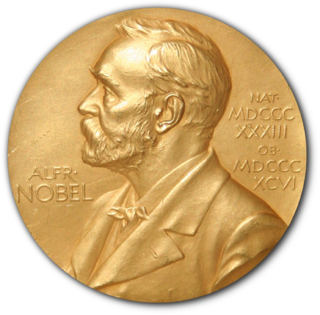 As of 2015, 25 Nobel Prize winners have been Latin American, Spanish, Latinos or Hispanics. ↑ Sherrington, C. S. (1935). "Santiago Ramon y Cajal. 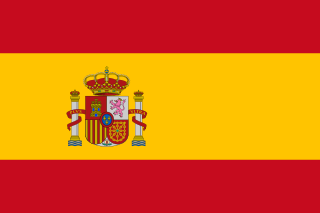 1852-1934". Obituary Notices of Fellows of the Royal Society . 1 (4): 424. doi:10.1098/rsbm.1935.0007. ↑ Young, F.; Foglia, V. G. (1974). "Bernardo Alberto Houssay 1887–1971". Biographical Memoirs of Fellows of the Royal Society . 20: 246. doi:10.1098/rsbm.1974.0011. ↑ Fernandez, R. M. (September 2011). "A Finding Aid to the Mabel Alvarez Papers, 1898–1987, in the Archives of American Art". Archives of American Art . Retrieved June 15, 2011.